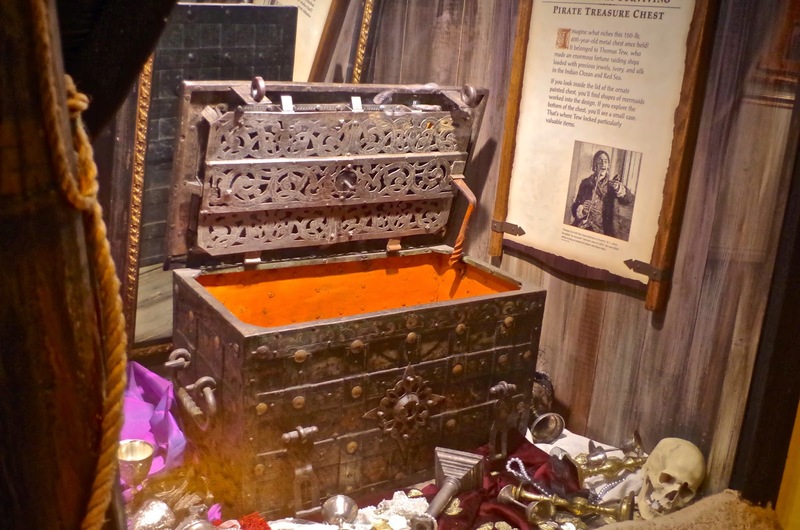 What do millionaires, pirates and Spanish sea captains all have in common? 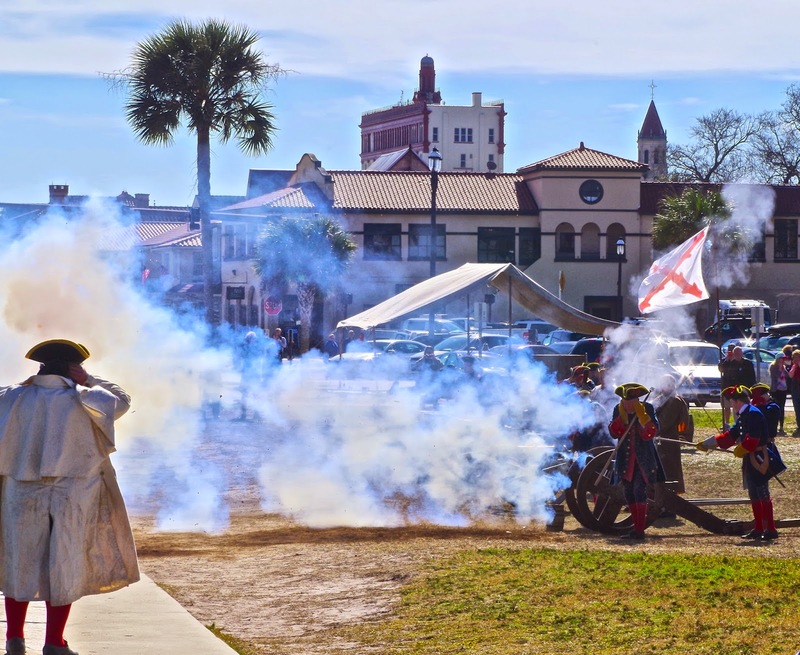 They all thrived in St. Augustine Florida! 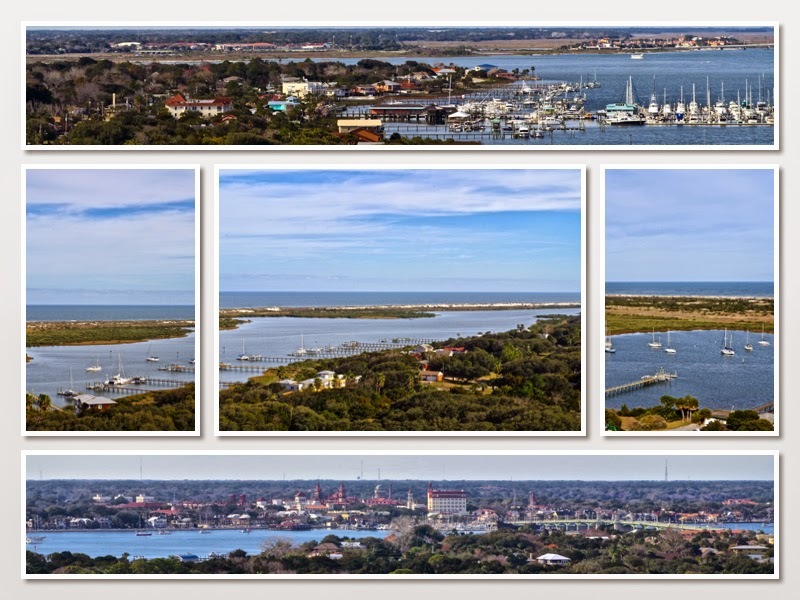 St. Augustine was officially established on September 8th 1565, making it the oldest continuously occupied city in our nation. 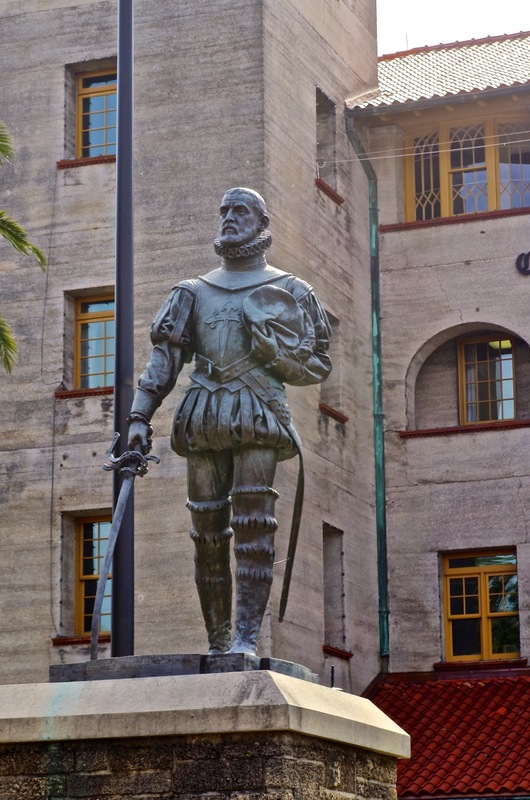 This was the day of the arrival of Don Pedro Menendez de Aviles, founder of St. Augustine, Father Francisco Lopez, and their crew. They constructed an alter made of stone and wood. Father Lopez held his cross high over the alter and conducted the very first Catholic mass in what would become the United States of America. 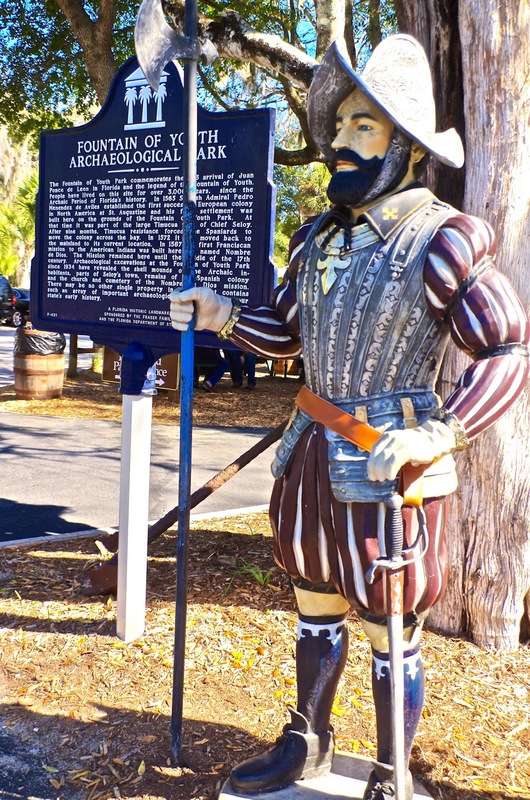 Now, in truth, Ponce de Leon, while searching for the Fountain of Youth, landed near this very site in 1513. Awed by the splendor of the lavish greenery, Ponce called this land "La Florida" or the Land of Flowers. But...he didn't do anything "official" about it...so, the date of 1565 sticks. To bad for Ponce, I guess "no guts, no glory". 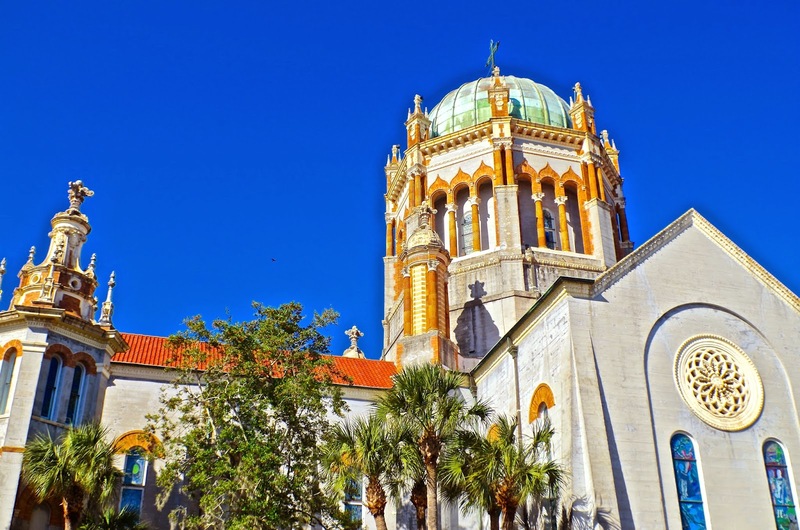 All that aside, there is a ton of things and places to see here in St. Augustine! 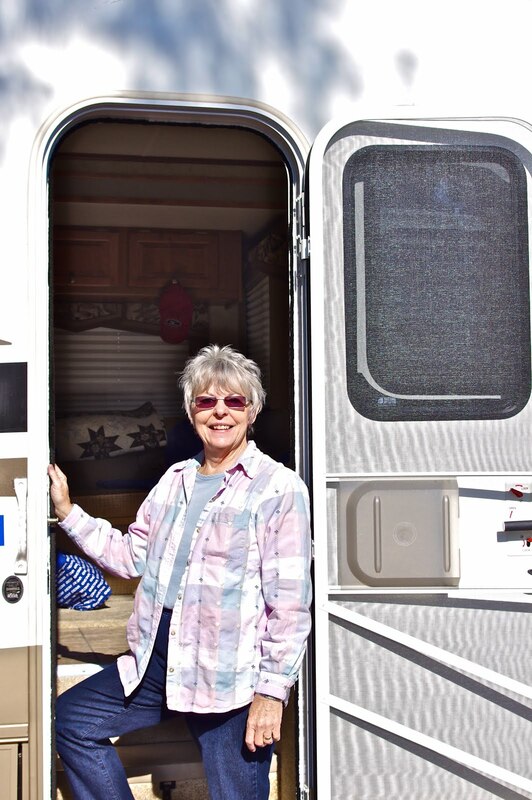 We set aside 11 days for our visit here, and boy are we glad we did. 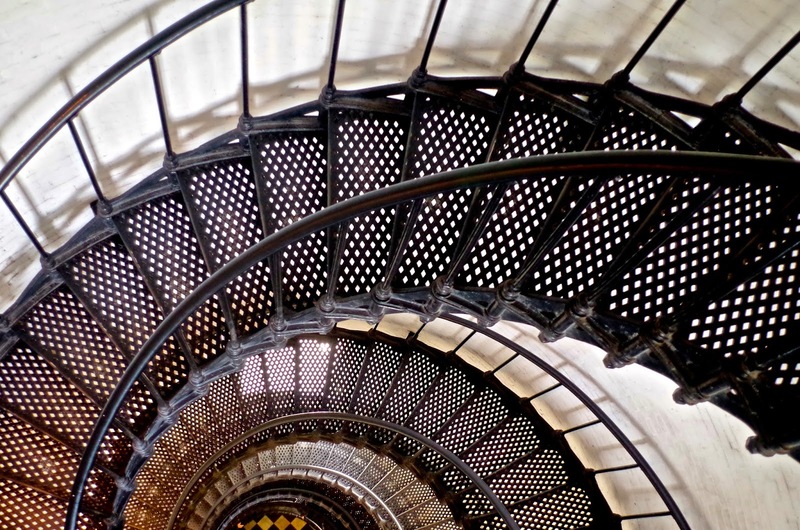 First up, was the St. Augustine Lighthouse. Built in 1874 and what a beauty is is too! 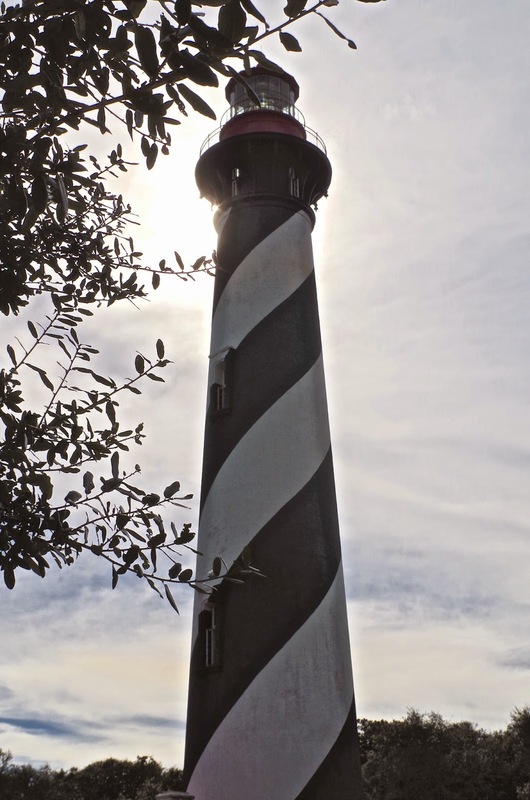 We don't always climb up to the top when we visit the lighthouses travel to, but we decided to this time...all 219 of them! Phew...you never know just how much you are out of shape until you climb 219 spiral stairs, let me tell you! We are...ouch! It took us two days for our legs to stop complaining. But, as they say, the views were well worth it! It was a clear, sunny day and we "could see forever" from up there. The next big adventure was to spend the afternoon at the Castillo de San Marcos. 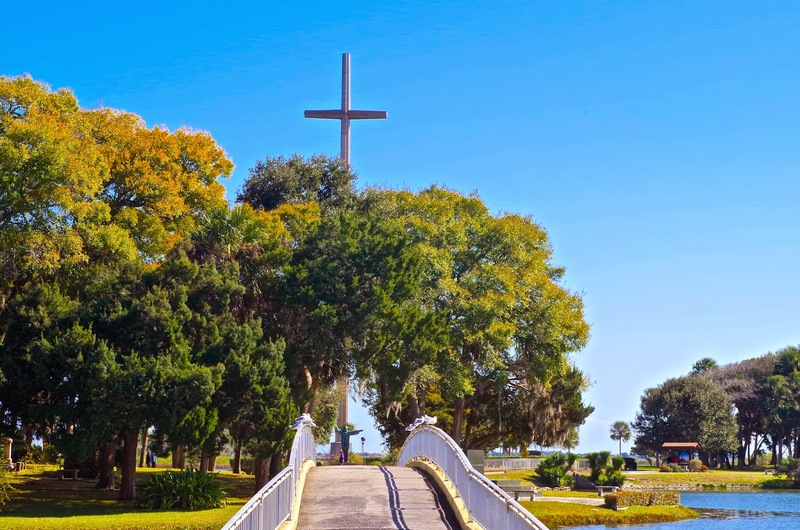 This is the "main attraction", I'd say, in St. Augustine. It's their fort, built in 1645. It's huge, and really quite a sight to see! Of course they have costumed interpreters throughout and cannon firings from time to time to help you imagine things. Jack, of course was enthralled. cannon balls hit it, it doesn't destroy it, it absorbs the balls...they just kind of sit there..in it. 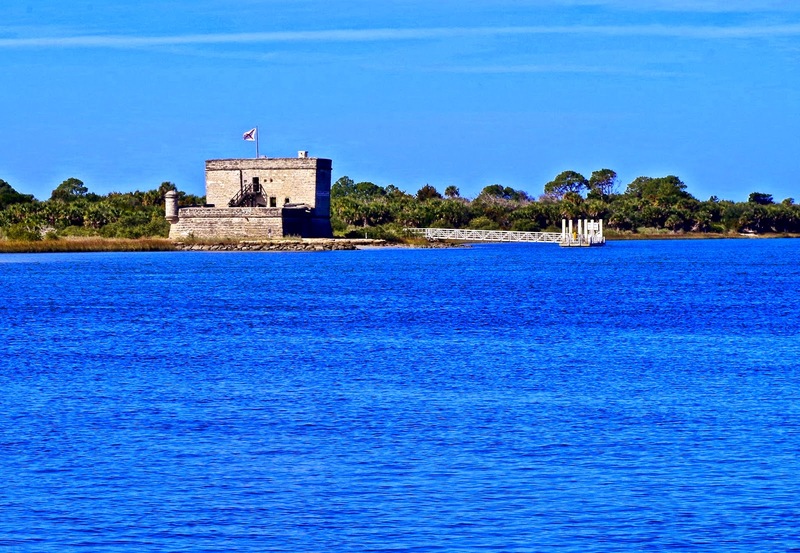 So, the Castillo de San Marcos never lost a battle - it changed hands due to treaty exchanges between countries, but never due to war. How about that! 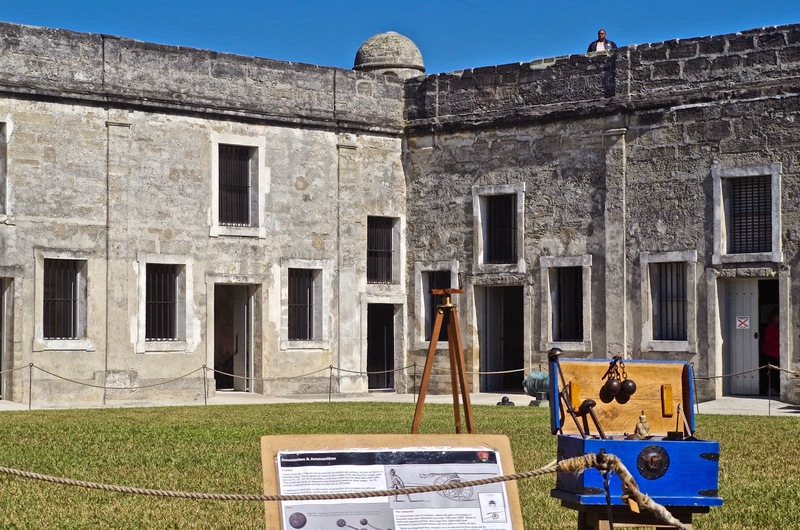 Many of the old buildings around St. Augustine are still standing today because of this "coquina". 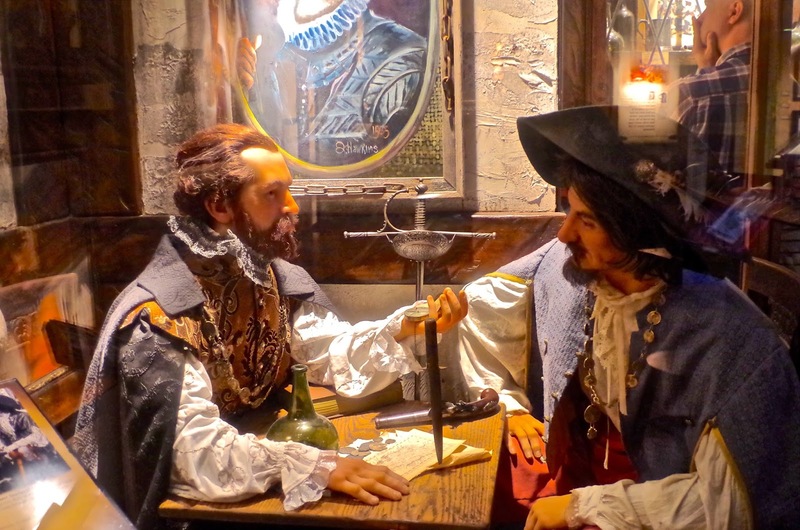 Being located where it is, St. Augustine was destined to be raided again and again by pirates, so it only makes sense that they have a museum about them here! It was kind of fun, a little hokey too, but that's okay. The town is built with a lot of zigzag streets which is a common practice of places that have pirate challenges. I haven't forgotten the millionaire! He came later...in the late 1880's. Henry Morrison Flagler changed a great deal of how St. Augustine looked after he and his family arrived here. He, along with John D. Rockefeller founded the Standard Oil Company and later, on his own created the Florida East Coast Railway. While here though, he built several hotels (because they didn't have any decent ones). He wanted to make it the south's playground for the rich and famous. He envisioned grand hotels and old southern charm for its guests. If the property he wanted already had buildings (church) on it, he just bought them out, built them another one, and built his hotel where he wanted it! When his first wife and daughter passed, he built a huge lavish memorial church. It's the only one with a bell, since he had built the other two churches in town, he made sure they didn't have bells! His hotels are now used as the college and a museum. There was one other wealthy man already in town when Henry Flagler arrived, and that was Franklin W Smith. 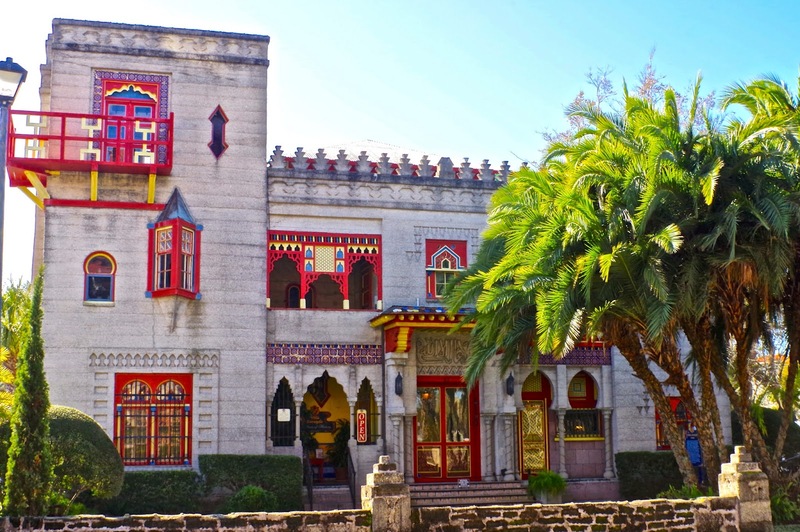 He had built the Villa Zorayda for his home inspired by a visit to the Alhambra Castle in Granada Spain. It's definitely "fantasy architecture". Henry Flagler offered to purchase the home, but Smith declined, so that's why Flagler built his own hotel. There is no comparison. Smith and he competed a couple of times, but Smith could never keep up and Flagler ended up buying him out. He eventually sold the Villa to another gentleman years later as well. 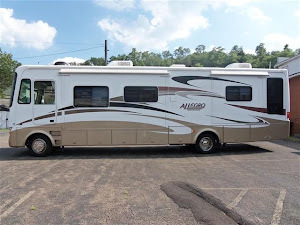 What would it be without at least one "factory-type tour"? 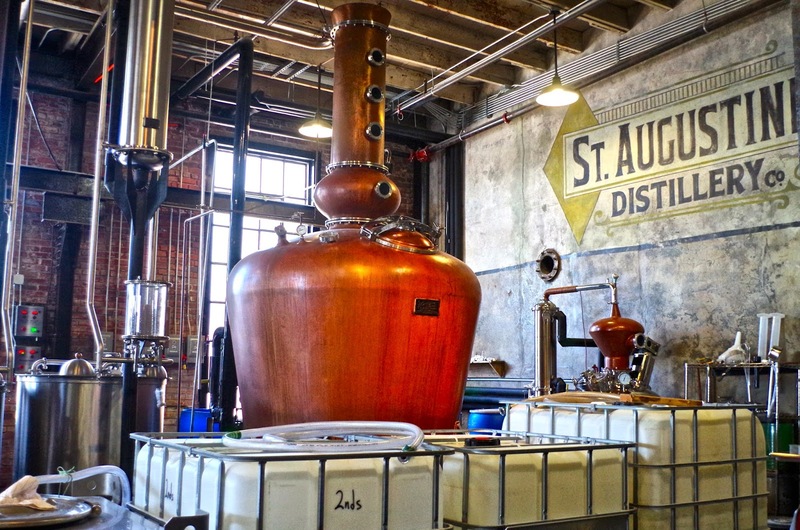 And, St. Augustine has one...a genuine distillery! It's only a little over a year old, and it's small, but it's "mighty"! 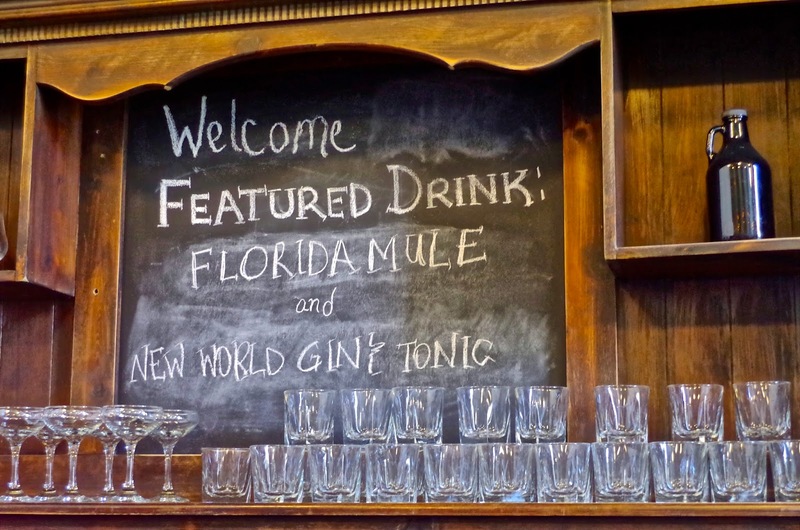 They are currently distilling vodka, gin & bourbon with rum being in the near future. They bring in all their supplies locally and handcraft everything. It's a great little operation and a fun tour...that gives wonderful samples afterwards! We drank to that! Yum! Believe it or not, this town is not a very big one, but it sure packs a lot in it's footprint! We were so glad we took the time to stay awhile and learn it's history and see some of it's beauty...well worth it!